The bread loaf-sized NASA satellite – IceCube, has now produced the world’s first map of the global distribution of atmospheric ice in the 883-Gigahertz band. This frequency band has a submillimeter wavelength which is important for studying cloud ice and its effect on Earth’s climate. 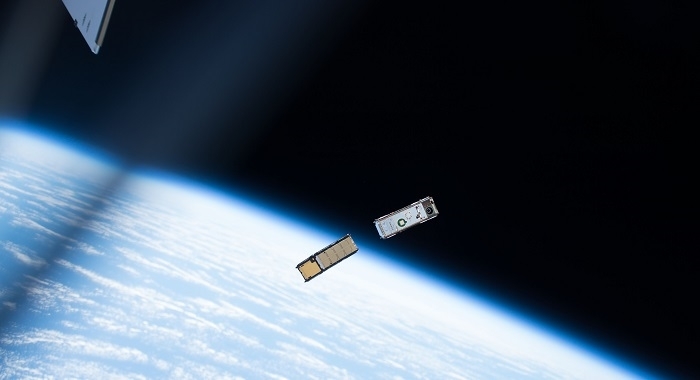 IceCube - the diminutive spacecraft that deployed from the International Space Station in May 2017 - has demonstrated-in-space a commercial 883-Gigahertz radiometer developed by Virginia Diodes Inc (VDI) under a NASA Small Business Innovative Research contract. It is capable of measuring critical atmospheric cloud ice properties at altitudes between 3-9 miles (5 Km-15 Km). NASA scientists pioneered the use of submillimeter wavelength bands to sense ice clouds, this band falls between microwave and infrared on the electromagnetic spectrum, to sense ice clouds. However, until IceCube satellite was launched, these instruments had flown only aboard high-altitude research aircrafts. This meant scientists could gather data only in areas over which the aircraft flew. With IceCube, scientists now have a working submillimeter radiometer system in space at a commercial price. IceCube’s map isam built the spacecraft using funding from NASA’s Earth Science Technology Office’s (ESTO) In-Space Validation of Earth Science Technologies (InVEST) program and NASA’s Science Mission Directorate CubeSat Initiative. The team’s challenge was making sure the commercial receiver was sensitive enough to detect and measure atmospheric cloud ice using as little power as possible. Ultimately, the agency wants to infuse this type of receiver into an ice-cloud imaging radiometer for NASA’s proposed Aerosol-Cloud-Ecosystems (ACE) mission. Recommended by the National Research Council, ACE would assess on a daily basis the global distribution of ice clouds, which affect the Earth’s emission of infrared energy into space and its reflection and absorption of the Sun’s energy over broad areas. Before IceCube, this value was highly uncertain. 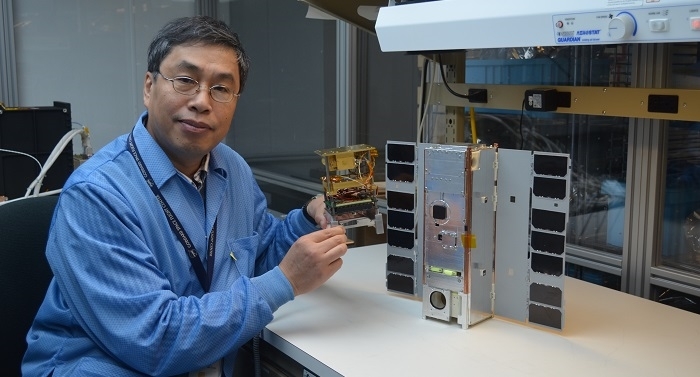 In addition to demonstrating submillimeter-wave observations from space, the team gained important insights into how to efficiently develop a CubeSat mission, determining which systems to make redundant and which tests to forgo because of limited funds and a short schedule. It was a low-budget project that required the team to develop both an engineering test unit and a flight model in a relatively short period of time. In spite of the challenges, the team delivered the VDI-provided instrument on time and budget. Small satellites, including CubeSats, are playing an increasingly larger role in exploration, technology demonstration, scientific research and educational investigations at NASA, including: planetary space exploration; Earth observations; fundamental Earth and space science; and developing precursor science instruments like cutting-edge laser communications, satellite-to-satellite communications and autonomous movement capabilities. NASA ESTO supports InVEST missions like IceCube and technologies at NASA centers, industry and academia to develop, refine and demonstrate new methods for observing Earth from space, from information systems to new components and instruments.